Hi everyone!! 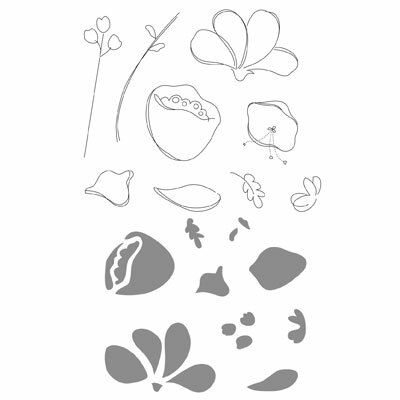 Stampin' Up has announced they will be making changes to their color families. This will be released in the July 1, 2010 - 2011 Stampin' Up! Idea Book and Catalog. 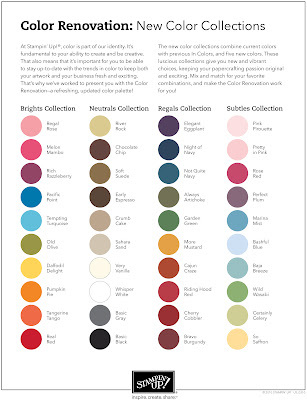 Down below is a chart of their new Color Collections, which is what they will be called. 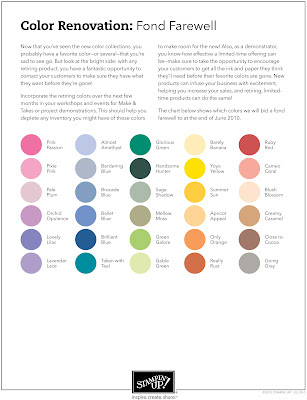 With new coming it's always sad to say some old must go, here is a chart of the colors that will be retired on July 1, so if any are your favorites, I would pick some up now!! Check out the Stampin' Up Clearance Rack for some great items, in my on-line shopping store go to shop now and look for clearance rack on the left hand side. All items are retired or discontinued and most clearance rack products are marked at substantially reduced prices. Always worth to take a look!! Hi everyone, I received my Stampin Up kit yesterday and made my first card from it. I used the Bella Toile background stamp, I love this stamp you could use it in so many ways. I stamped it on Whisper White cardstock with Basic Black ink and then colored it with Stampin Pastels. I cut it into three pieces, used the Ticket Corner Punch and framed each piece with Pink Passion cardstock. I stamped the Chocolate Bunny and cut it out and pop dotted it on and I used the Modern Label and Word Window Punch with the Sentiment Happy Easter from the Teeny Tiny Wishes stamp set. This set is a must if you have the Word Window Punch, I had bought the Mixed Messages from Papertrey Ink which I like but these fit the punch so much nicer, not all of the MM does. I know there is a big price difference, but in the long run you will use this set much more. Hi everyone, I made another card for the Cricut Cartridge Challenge using A Child's Year. Created the card cutout in Design Studio, welded the boy and dog image to one of the card cuts. You just score 4.25" in from the left hand side for the card fold. For the sun I just used the inside piece of the tag and pop dotted a 1" circle on top of it. I used a white gel pen to outline around the best friends cut. I've added the cut file under the pictures. I used the cuttlebug embossing folder distressed stripes for the front. 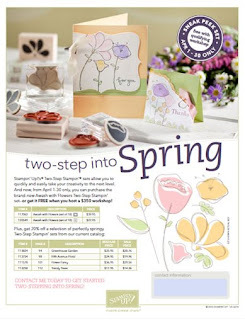 Hi Everyone, From April 1-30 only, you can buy the brand-new Awash with Flowers Two-Step Stampin' set—or get it FREE when you host a $350 workshop!